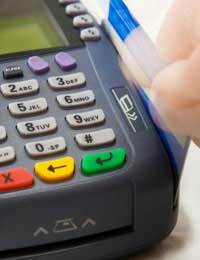 Credit card charges are unnecessary and they can be avoided with some thought and planning. However, if credit card users are not careful to avoid them, credit card charges can really rack up and end up costing a significant amount of money. On the upside, credit card charges have been better regulated recently and the maximum that can be charged is now £12. In practice, savvy credit card companies are not likely to charge any less than this £12. Obviously £12 is no small amount of money, but compared to a while ago when credit card companies would often charge £25 for every default, it is progress. Credit card companies charge these extra fees in situations where users either exceed their credit card limit or when they do not pay their monthly repayment fee or they pay it late. Why are Credit Card Charges a Problem? Clearly credit card charges are a waste of money. However, there are other problems that can be caused by credit card charges, which add to the reasons that they are best avoided. Make sure you have checked the small print of any credit cards you sign up for. Some credit card companies state in the small print that they reserve the right to end any 0% or introductory deals for any users that break the terms and conditions. Consistently being late with credit card repayments, or not repaying them at all, could affect your credit rating. Having a low credit rating could affect your future ability to borrow money. Set up a direct debit. This way your credit card repayment will go out on the same day each month and you won’t have to remember or find time to send off a cheque. Make sure you set up the direct debit for a date when there will be sufficient funds in your account. It’s wise not to carry a balance on your credit card, as although you might not end up paying credit card charges, you will accumulate interest. If you have a large credit card balance you could end up paying a significant amount of interest each year. To ensure you clear your bill and don’t go overdrawn, set up a direct debit for the minimum repayment fee, and make an extra payment at the end of each month when you know how much money you can comfortably pay off. If you’ll be using a credit card abroad, make sure you get one that’s fit for purpose. Credit card charges called ‘exchange rate loading fees’ are added to the exchange rate by banks when the card is used abroad. Two cards which don’t currently charge this fee are offered by the Post Office and Nationwide. Avoid cash withdrawals. You’ll often be charged about £2 per cash withdrawal and even more for withdrawing abroad. If you have been charged credit card penalty charges, it’s possible you’ll be able to reclaim them. For more details on this have a look at our article ‘Reclaiming credit card fees’.